I went out in my yard today as innocent as can be. All I wanted to do was play with my Frisbee. Oh yeah, and take care of other things too. When all of a sudden my attention was drawn upward. 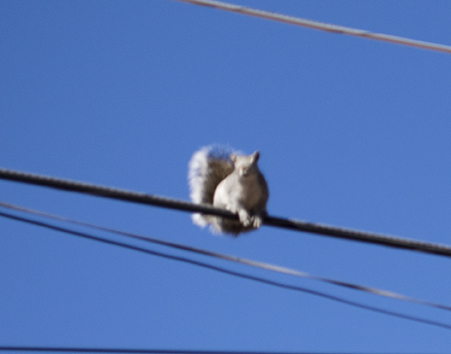 This pesky squirrel was sitting on a wire staring down at me. And we sat there having a staring contest. I’ll get that pesky squirrel yet! At least I won the contest. That pesky squirrel couldn’t hold out very long. Ran on down the wire. That squirrel ain’t no chicken. Scaredy cat. That’s what he is! 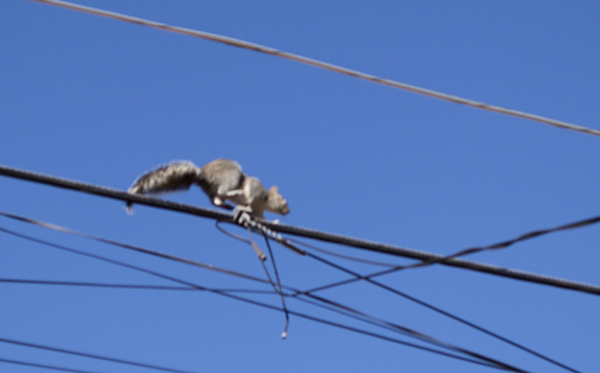 FleaByte, if I can figure out how to get that pesky squirrel down from that wire I think I’ll have a taste. Patrecia, all squirrels look alike to me. And for sure, they’re all pesky. maybe he wants to be your friend but is intimidated by your handsomeness. Patricia, no squirrel is a friend of mine. Those pesky things! Walter, aren’t squirrels the peskiest? If they’d ever come down I’d give them what for. Thanks for stopping by and commenting. Little Binky, that squirrel just wants to harass me. Maybe you could come over next time that squirrel is in my tree and go after it for me. How cute that squirrel is!!! Oops…..Ahem ahem…well….yes…he must be a “scaredy-cat” ! Wait…..hmmmm….I’m now wondering why it uses “cat” for this description……hmmmm….? Kevin, squirrels are sneaky. They make everybody like them with how cute they are – but they are evil. They harass us dogs every chance they get. Ginger, that sounds like a tasty meal. I wonder how I could convince my person we need a flame thrower in the backyard. Well done you on keeping your yard safe! Thanks Dalton. 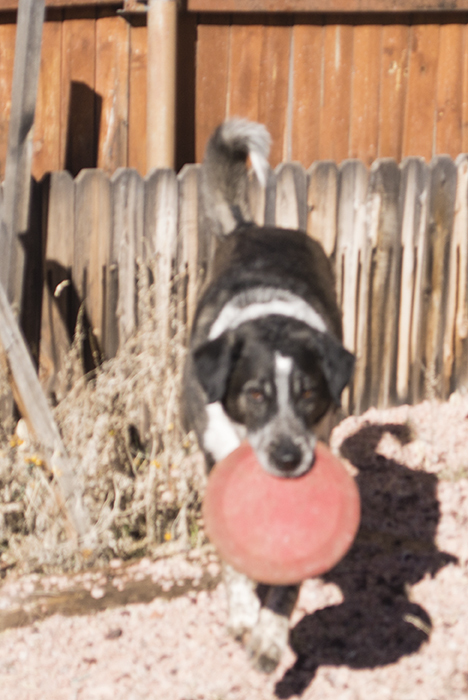 Any pesky squirrels showing up in my yard had better watch it. Oh Bongo, those squirrels have nasty mouths on them, don’t they! I chase them right out of my yard because I don’t like what they say & then they flip me their tails. But you’re right – they’re just bully scaredy cats. Lola, those pesky squirrels act really brave when they’re up in a tree or on a wire. But get them down where we can reach them and they scamper. Marina, he probably wanted to steal my frisbee. Those pesky squirrels are never up to any good.